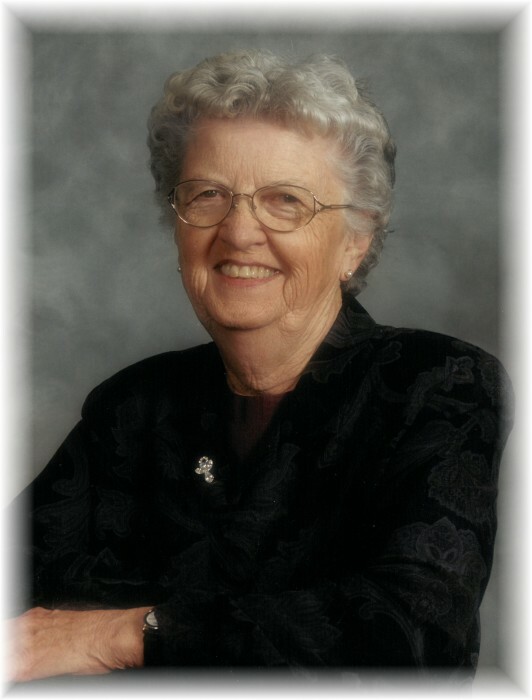 Obituary for Phyllis 'Bid" Irene (Cowan) Barker | Swan Valley Funeral Services Ltd.
On March 17, 2019 Phyllis “Bid” Barker of Swan River, Manitoba passed away suddenly at the age of 93. Bid was born on the farm January 10, 1926 in the Pretty Valley District. She married Robert Barker on November 10, 1947 in British Columbia and they returned to the farm in 1949. She resided for 80 plus years on the farm where she was born except for the two years her and Bob spent in British Columbia. They farmed together until Bob’s passing in 1990. She was kept busy raising her younger brothers and her five children. She loved to be outdoors doing chores and gardening. She always had a large garden and loved her flowers. Eventually the vegetable garden got small and the flower beds got bigger. Bid was always involved in the community and enjoyed lending a helping hand. She was always taking food to the rink, hall, or church. Later on she decided to take up curling and enjoyed it immensely. She moved to Swan River in 2011. Family was her greatest joy. She not only enjoyed her children and spoiled her grandchildren but loved to keep in touch with her many nieces and nephews. Family reunions were always looked forward to so she could have a visit with everyone. She will be sadly missed by her children, Ed (Lovia); Brian; Doreen (Larry); Allen (Doris); Doug (Paddy); grandchildren and great grandchildren, Tammy (Kris), Nolan and Max; Michelle (Mike), Landon and Nyah; Dale (Sarah); Tiffany (Scott), Aubrey; Chad (Melissa), Bennett; Nat (Leanne), Evelyn; Leah (Matthew), Max; brothers and sister, Doreen (Bill); Charlie (Mary); Gordon (Carolle); Stuart (Carole); brother and sister in laws, Bill (Lelia); Pat (Dennis); Hap (Donna); Stuart (Colleen); Dianne (Jim); (Arlene). She was predeceased by her husband Robert, May 27, 1990; parents Ed and Coral Cowan; father and mother in law Charlie and Gerry Barker; sister Edna (Bruce); brother Les; brother and sister in laws Mickey, Tom and Rena (Lawrence). The memorial service was held on Monday, March 25, 2019 at 2:00 p.m. from St. James Anglican Church, Swan River, Manitoba with Pastor Bob Lewis officiating. Interment took place in Birchwood Cemetery. If friends so desire, donations in Phyllis’ memory may be made to: Community Foundation of Swan Valley, Box 1509, Swan River, Manitoba R0L 1Z0.